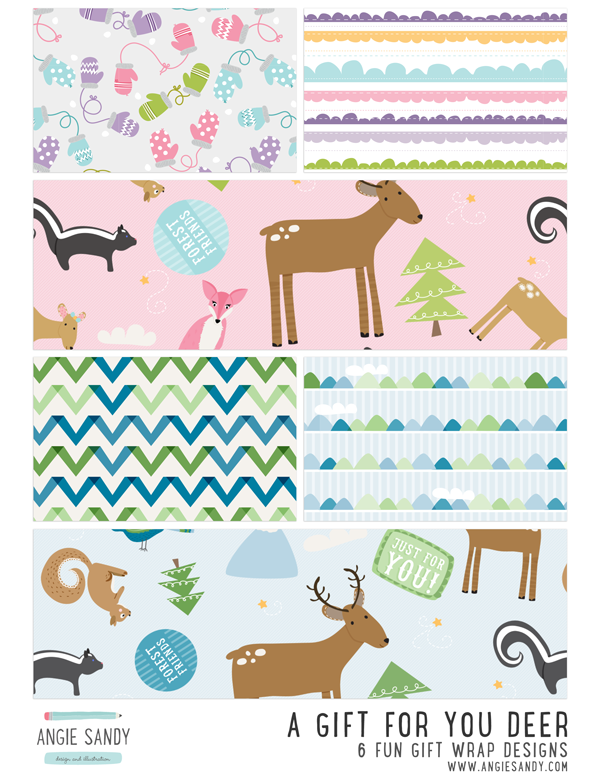 I've been working on this fun collection of gift wrap all week and just finished it up. I am pretty happy with the whimsical, fun feeling of the design. I am sure I will use the critters in a few more designs, they took a lot of time to make but I do love them. Comments? Suggestions? They are always welcome! Have a great weekend friends!